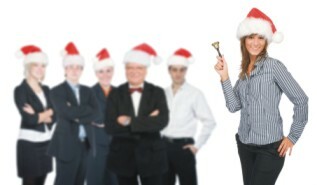 If you haven't started planning your corporate Christmas parties yet, it's time to get started. Every good corporate leader knows that true success is built on the foundation of happy, vision-filled, purpose driven employees. They realize that co-workers should be more than nameless faces who receive a morning nod and an evening wave. They understand that company elevators should be filled with conversations, smiles should be more genuine than obligatory, and framed photos on desks should have a known significance. When this happens, the office becomes the kind of place where people work together, celebrate together, and even enjoy being together. Co-operation increases and competition takes a back seat to respect. Many of us spend a large measure of our day in a professional setting; but sometimes stepping out of the office and relaxing with our co-workers in a neutral, unthreatening and non-pressure environment can cultivate the ideal workplace atmosphere. For those company leaders who truly believe that their power and strength is a product of the people behind the name, a corporate Christmas party is an absolute necessity. Christmas is the time of year to focus on our blessings, appreciate the special people in our lives, and to give back from the abundance that we have been given. So, corporate Christmas parties are an excellent way to share some of the wealth, say thank you, and make staff feel like they are an integral part of a company's success. The company Christmas party allows co-workers, employers, and even clients or customers to mingle and socialize in a comfortable environment where corporate hierarchies, department divisions, and job titles cease to exist. By nature, people love to be recognized and they need to feel appreciated. In essence, they want to know that they matter, especially to the owners, bosses, and even those one rung higher on the ladder. Your corporate Christmas party can help create a sense of camaraderie, boost morale, build team spirit, and re-ignite vision. It is a way to show your staff that you care enough to celebrate one of the biggest holidays of the year with them. Whether you are a small company or a large corporation, your corporate Christmas party should be designed to celebrate the year's accomplishments as well as the people who helped make those accomplishments possible. While extravagance is determined by budgets, the fun and creativity need not be limited by financial constraints. Based on many years of disappointing, and even exceedingly boring experiences, many people dread the company Christmas party and only attend out of a sense of obligation or duty. The goal of course, would be to design a party that generates so much anticipation it creates an office buzz that begins weeks ahead of time and continues well into the new year. But how is that done? Whether relaxed and casual, sophisticated and formal, quiet and intimate, or dynamic and energetic, careful consideration should be given to the desired atmosphere of your corporate Christmas party. In doing this, theme and location are the two most important aspects. Most Christmas parties should have a theme. This makes the event more interesting and also provides a general direction for the rest of the planning process. The size of the staff, as well as the mood being created will ultimately determine the choice of themes. And, of course, theme will often determine location. While it is traditionally acceptable to have your Christmas office party at the office, or even at the boss' house, it is not recommended. You should choose a location away from work where everyone can enjoy the festivities without the perceived expectations. Of course, using a hotel banquet room or a local hall is an option, but why not be more creative and try an art gallery or a dinner cruise. You could even rent a local arena and transform it into a winter wonderland where guests could skate and socialize to cheery Christmas music while enjoying the beauty of ice sculptures and festive lights. Scheduling a day time party is another great and inexpensive option. Depending on local weather, guests can be divided into teams to build snow sculptures, have an outdoor scavenger hunt, or snow shoe races. One company even hosted their own "Amazing Race". The events could be followed by an outdoor barbecue or winter bonfire, or guests could head inside for hot drinks and a cozy dinner. A masquerade ball would add a hint of historic nostalgia to your corporate Christmas party and create that level field that is often non-existent in a professional setting. Murder Mysteries are also very popular, and if planned properly, they allow guests to interact with those outside their everyday realm. One of the most widely praised themes is a casino night, complete with poker chips and blackjack tables. Of course, the money used is not real, but the prizes for the biggest winners are. Themes are as varied as the party planners and as extensive as imagination allows, but the key is to choose something that will encourage your guests to relax and enjoy themselves.